In accordance with previous reports, it’s been confirmed that Dwayne Johnson has been tapped to headline Sony’s Jumanji remake. However, there’s no word of his Central Intelligence co-star Kevin Hart closing a deal at this time. Word of Johnson’s addition to the embryonic overhaul comes via the actor’s ever-active Instagram – which also brought word of Baywatch enlisting Pamela Anderson earlier today – revealing that Johnson’s Seven Bucks production banner will help shepherd Jumanji into development, with plans in place to start shooting in fall of this year. No stranger to the family adventure genre after work across the Journey franchise, Johnson’s casting hints that Sony may be aligning its reboot as a more light-hearted affair than the original, which was by no means a hard-hitting drama. Among the original cast in the 1995 classic were the late, great Robin Williams opposite Bonnie Hunt, Kirsten Dunst, Bradley Pierce and Jonathan Hyde. 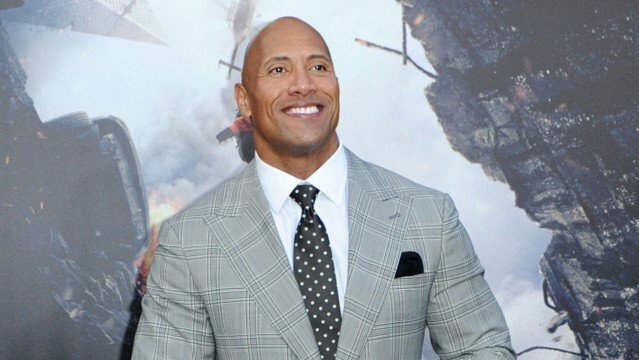 Between Central Intelligence, Universal’s all-star Fast 8, Rampage, San Andreas 2, Ballers season 2 and now Sony’s Jumanji remake, it looks as though Dwayne Johnson will be close to omnipresent throughout film and television across the next two-to-three years – and we’re totally okay with that.